To call this thing we do “dog training” is a huge disservice to dogs. We are not “training” we are “educating” and just like with children, education starts in kindergarten and ascends onward from there only with understanding. The number one reason dogs get into trouble has to do with our expectations as owners compared to the level of education our dog has. We may be expecting university level behaviour when our dog is still in kindergarten. “Educating” puts the onus on us. As our dog’s educator, we have the responsibility to make sure he is learning what we think we are teaching. The learning happens in layers, progression through those layers only occurs when our dog shows comprehension. The only way our dogs can communicate that comprehension is through their behaviours. Below is a video I did for our Free Dog Training Facebook Group, explaining the progression through the layers of learning that sets our dogs up for success. The same applies to us when we are learning anything new. We all need step by step progressions to be successful. As we covered in my Vlog on the “Circle of Fun”, we learn best when we are interested and excited. Layering the learning will keep our dogs and us interested and excited because there will not be overwhelm, or frustration from lack of understanding. In the video above, I use the example that is straight from the “Susan Garrett School of Teaching Water Sports” …. which is kind of ironic since I really don’t like the water. Imagine that you have a child and you like water sports. It’s important for you that your child likes the water and water sports too. But, at the moment, your kid is a little bit afraid of water. (Our imaginary kid here was me by the way, and it took me about 30 years to get over that little bit of fear about water). Or our child might not be really afraid, just disinterested. So we look at where we are, and with some fun and a quick game, our child is now interested and excited by water and even willing to jump off a low platform into the water. That’s a good start, right? But then what might happen is that we now think “well, he is now interested in the water and will jump off a low platform, I’ll enter him in the Olympic Tryouts for High Diving” … and we put our child on the highest dive board and want him to have good form up there for the tryouts. We wouldn’t really do this with our child, or ourselves, would we? There’s a lot of layers that go from enjoying the water to being an elite high diver at an Olympic competition. 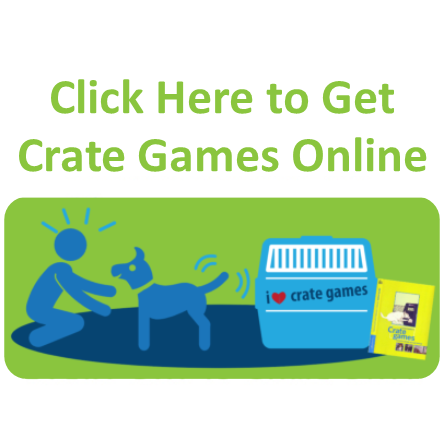 To bring this back to dog training… Let’s say that you and your dog have started playing my ItsYerChoice (IYC) Game. Your dog is beginning to make good choices and has more focus for you. It’s fun for your dog. Now you have played the game you say: “okay, now how do I get him to stop chasing deer?”. Here’s the thing. Everything we do with our dog to get the behaviours we ultimately want requires us to put in the layers of education to set him up for success so he can meet our expectations. Think of the layers as the rungs of the ladder to the high diving board. 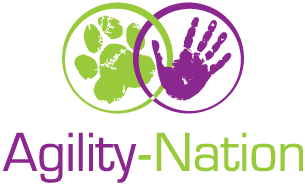 Each of my dogs has achieved a lot of success in competition at a national and international level in the sport of dog agility … the equivalent of our Olympic High Diving in my example in the video. 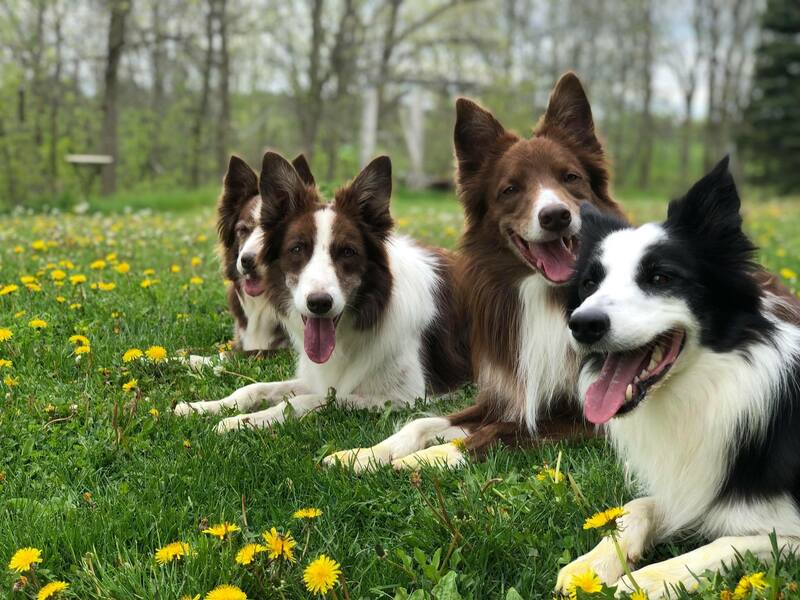 I’ve had to put in a lot of layers of learning for my dogs so that eventually we get to a place where the joy and confidence my dogs have playing ItsYerChoice is the same as the joy and confidence they have at a world level agility competition. There’s never any doubt or hesitation in my dogs when they get to the “high diving board” of world championships. I’ve also put in the strategic layers of learning so that my dogs want to make a great choice not to chase deer … we do come across deer from time to time on our walks. They have joy and confidence in making that good decision because of the layers of education. ItsYerChoice and the reason for it is because we put in strategic layers of learning in the form of a game to educate our dogs. It is layering one (very small) good decision on top of another… leading to more complex behaviours and more complex decision making in our dogs. That’s how we maintain the joy and engagement and confidence in our dogs every step along the way. These layers will take your dog to the “Olympic High Diving Board”, no matter what that looks like for you. If our dog’s behaviours are not demonstrating what we believe we have “trained,” it’s time to turn the microscope on ourselves as the trainers or on the lesson plans we’ve been trusting in to get us there. The behaviour or misbehaviour of our dog is only a reflection of the lessons we have taught him. Have we gone from enjoying the water in a kiddie pool, straight to the high dive board at Olympic tryouts, with no layers of learning in between? Misbehaviour equals a lack of understanding on our dog’s part. There must be a missing layer or two in the “training”… it’s up to us to fill in those gaps, then and only then can our dogs live up to the high expectations we have for them! Today I am grateful for everyone who is educating their dogs to set them up for success and maintain their joy and confidence.